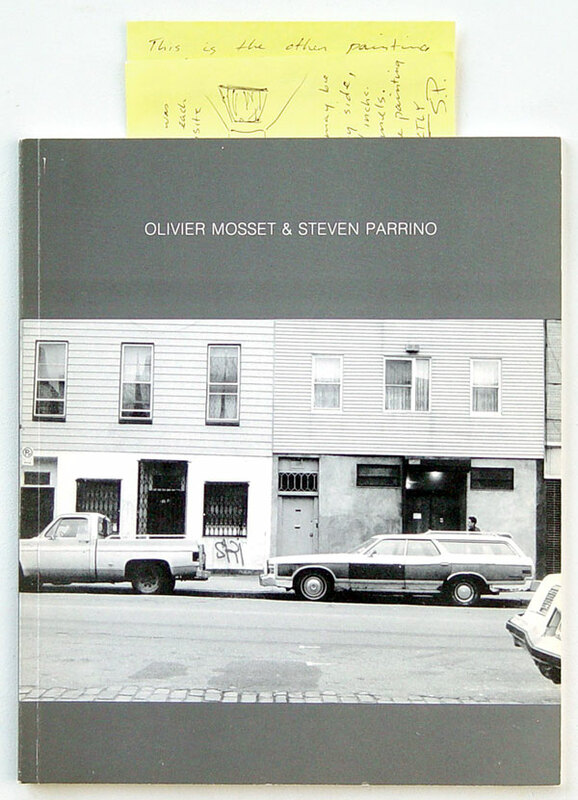 This catalogue “Olivier Mosset & Steven Parrino” is published in 1990 by Galerie Pierre Huber, Geneva, Switzerland. Two Post-it papers were tipped in by Steven Parrino for availability of works to be hung in Galerie van Gelder, Amsterdam. 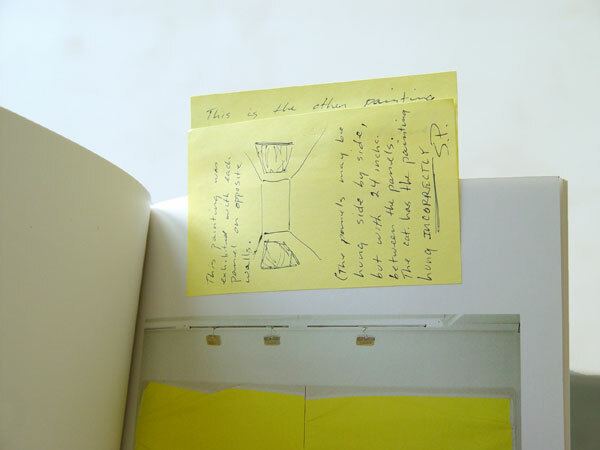 The first Post-it paper contains a drawing describing a wrong hang of one of his paintings as reproduced in the catalogue.